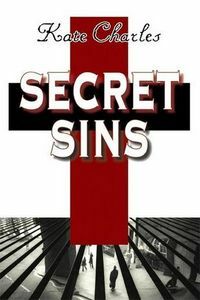 Secret Sins by Kate Charles: Synopsis and Online Purchase Options. Synopsis (from the publisher): Life may not be getting any easier for curate Callie Anson, but it is definitely getting more interesting. Her relationship with policeman Marco Lombardi grows ever warmer, even though he seems to be keeping her away from his close Italian family. Then her own brother Peter, beloved and engaging as he is, gets a bit too close for comfort when he moves in with Callie. Professionally, things are challenging as well. Callie has become involved with the problems of a new parishioner. Morag Hamilton is worried about her granddaughter Alex--a lonely and isolated twelve-year-old with a work-obsessed father and a self-absorbed step-mother. If Morag knew how much time Alex spends on the internet, she would have even more cause for worry. Meanwhile, Detective Inspector Neville Stewart tries to put his personal problems on hold as he deals with Rachel Norton, a pregnant young woman with a missing husband. With the birth of their first baby only a few days away, why would Trevor Norton go out jogging and not return? Trevor's disappearance may not be what it seems. Just when Neville thinks he's solved it, someone else goes missing: young Alex Hamilton.